On the one hand, our lives seem to be much easier these days than years and ages ago. On the other hand, nowadays, people have to deal with even more stress on a regular basis. Sure, the psychologists are able to help with that, but not all of us have time and money to visit them as often as we would like to. That’s why one of the best things to do in this situation is to find a way to reduce stress on your own (even if only a little bit). There are many ways to do so: you can try meditation, yoga, conversations with your friends or family. 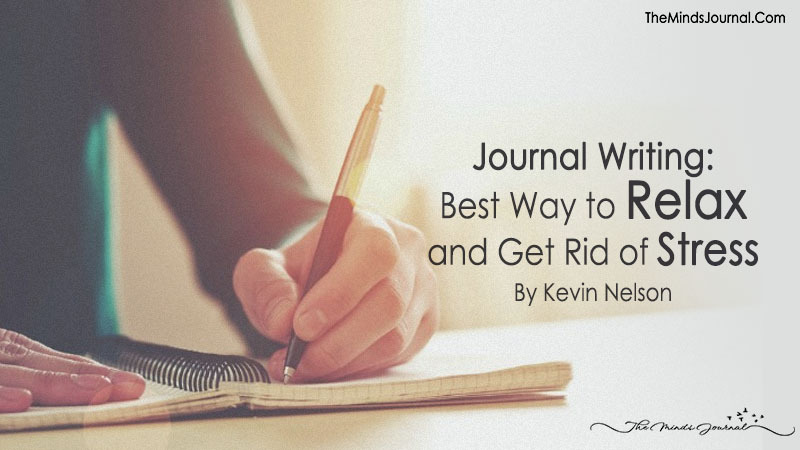 You can also try journal writing – one of the simplest and easiest ways to reduce stress. While certain stress-relief tools like yoga require you to learn the basics first, journal writing doesn’t require you to do anything like that. You don’t need to buy an expensive pen if you don’t want too, you don’t need to do creative writing, and you don’t have to be a freelance writer or work for some kind of a writing service. Of course, writers can benefit from this technique even more as it could help them overcome the creative block. However, you don’t have to be a writer to make this work. All you need to do is to pick the most convenient tools and start writing every day. Why is it so useful? Well, because one of the easiest ways to reduce stress is to actually let your emotions out. You can do this during a friendly conversation too – however, a journal is always with you even when your friends aren’t. Moreover, in your journal, you are able to express your emotions freely. It’s okay to swear, it’s okay to write everything that comes to your mind – after all, your goal is to understand yourself better, not to write a proper story. Sometimes this writing process is enough to make you feel a bit better; however, even if not, it helps in figuring out what exactly stresses you so much. It also helps in clearing your head up a bit as you put your thoughts down on paper or in a document. We think about so many things every day and while these things aren’t necessarily important, they occupy our minds, sometimes making us worry too much. Simply getting all these seemingly insignificant thoughts out of your head could help you a lot. As I’ve already mentioned above, you don’t have to use specific tools for it. Sure, some people think that the best way to write a journal is to use a pen and paper for that: you write slowly and are able to concentrate on your thoughts more, think about things that you actually want to write, and so on. However, if you find typing much more convenient, choose it. These days, there are so many journaling apps and tools to use: some of them are online (just like LiveJournal), some are designed for PCs and mobile devices only. All these tools have password protection option so you are able to make your journal private even if it’s an online one. While password protection isn’t a must, I do recommend trying this option or keeping your journal hidden from the others if you prefer a paper one. Most people have troubles with being truly expressive and sincere when they know someone might read their journal, so if you are doing this for personal reasons and stress-relieving purposes, make it private. How to do journal writing? There’s no perfect way to do it. You can write a journal a couple of times a day or do it once a day. You can schedule a certain time for that or you can do it each time you feel like doing so. The key here is to make the whole writing process as natural and convenient as possible: this way it will benefit you the most and will become a habit quickly. However, in order to make this work, you should try to write a journal at least once a day. Consistency is very important here. Moreover, if possible, try writing for fifteen minutes a day at least – it isn’t much, but that’s the time you’re going to spend focusing on yourself, and that’s why it is extremely important. Maybe as you progress, you’ll even develop your own writing rituals and habits. For example, some people prefer writing a journal in the morning when their mind is still unfocused, so it is more like a freewriting exercise for them. Some people prefer doing it in the evening, describing all the things that happened to them during the day. Some like writing for a certain amount of time, some stick to a certain page limit, while other don’t think about such things at all. Either way, it is completely okay as long as this process benefits you and makes you feel better!